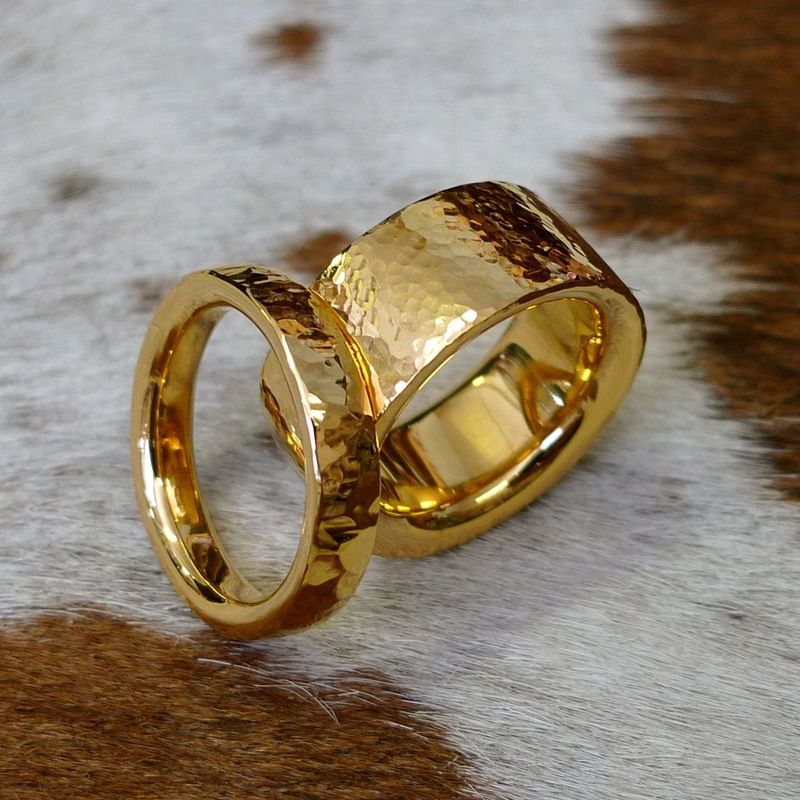 How to commission a handmade wedding ring? So you’ve spent weekends visiting jewellers shops on the high street and hours online comparing styles and prices of wedding rings, found hundreds of rings on Etsy and Pinterest, but still can’t quite find the perfect wedding ring for you. 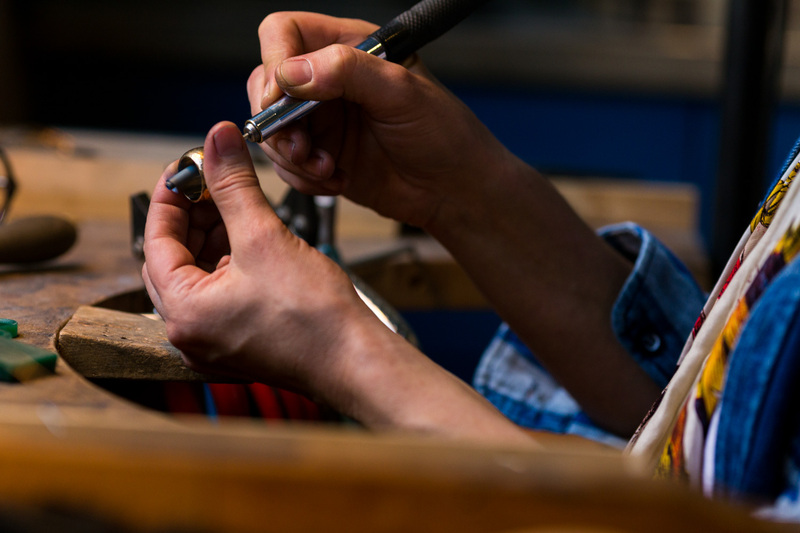 A good way to take the strain out of this process is to approach a jeweller and commission a handmade wedding ring. 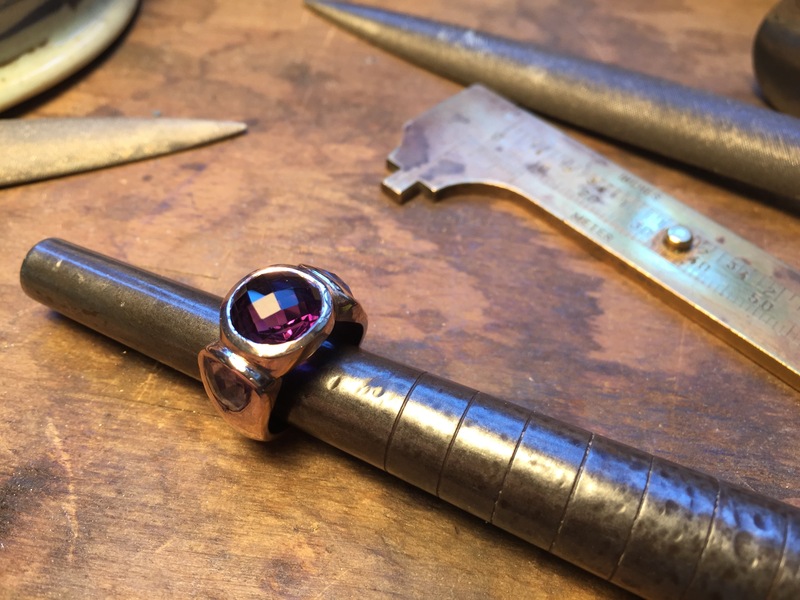 There are many jewellers around who offer this service so it’s good to start by looking at their website to get a feel for the style they work in to see if its something you like. If you’re excited by the way they design and the rings they’re creating, the chances are you’ve found a designer who can interpret your ideas into something you’ll really love. It’s always best to approach a designer who’s style of work you love. The internet will only take you so far so make an initial appointment to visit their studio, see if you like them and try on samples of their work. Does it look as good as the pictures on their website and does the work have a passion and quality about it? At this stage you should be able to spend plenty of time browsing through rings and asking as many questions as you like without feeling obliged to make a quick decision. A good jeweller should be able to tailor any of their designs to your specific requirements. Working with Tawny has been a wonderful experience, she helped and guided me through the whole process of the making of my engagement ring. I now have a beautiful unique ring. Looking forward to the making of our wedding bands! You may want to take some images you’ve pulled together from the internet or magazines with you to the first appointment to give the jewellery designer further ideas to work from. At this point it is really important to not only say what you love but also what you really don’t want – the clearer you can get on what you want the easier it will be to create that perfect ring. 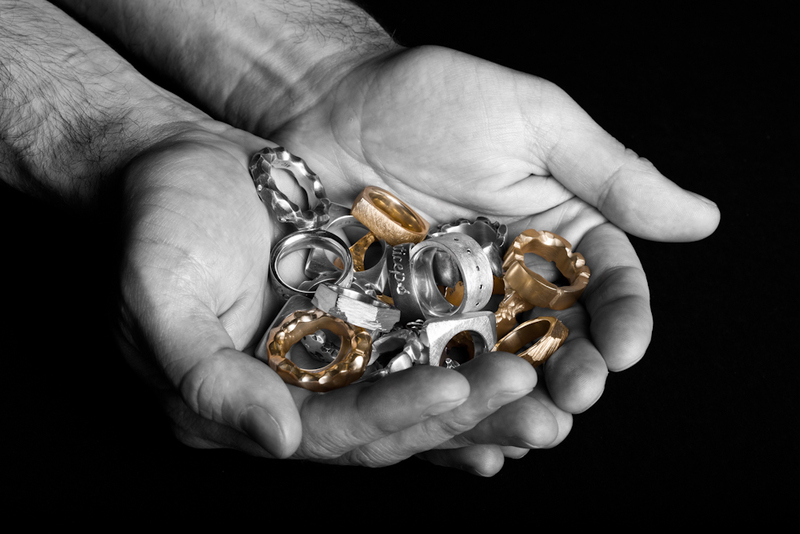 You also may want to recycle some family gold or even a relative’s wedding ring into yours – if that is the case then take your pieces of metal along with you to the first appointment and let the jeweller discuss that process with you too. I have had many clients who like to re-use heirlooms or sentimental jewellery to create new contemporary pieces that they too will pass on. Many clients actually pick rings from my gallery that they would like reproduced exactly in their size and maybe tweaked in scale or customised with a scattering of diamonds or with a hand-engraved message on the inside – this is all easy to achieve and a good jeweller should be able to offer a lot of samples for you to choose from to get you started. 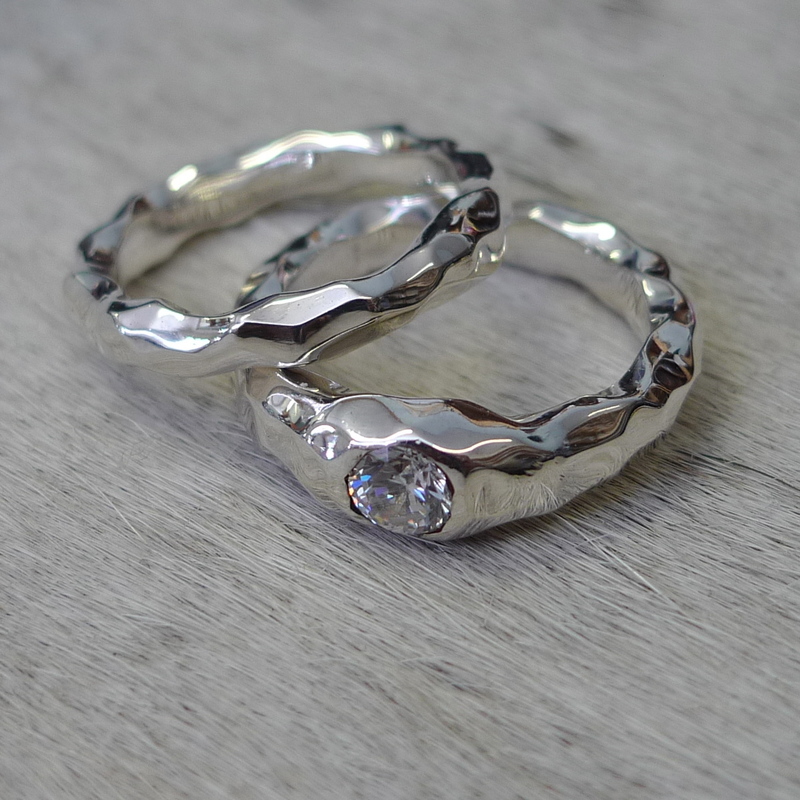 I have a selection of over 100 handmade wedding rings that can be tried on and discussed which give clients a good idea of what I can make them. Many of the styles are unisex and can be tailored to the clients’ budget and taste.